George Allen & Unwin, an early set published in 1959 of the UK 1st Editions. 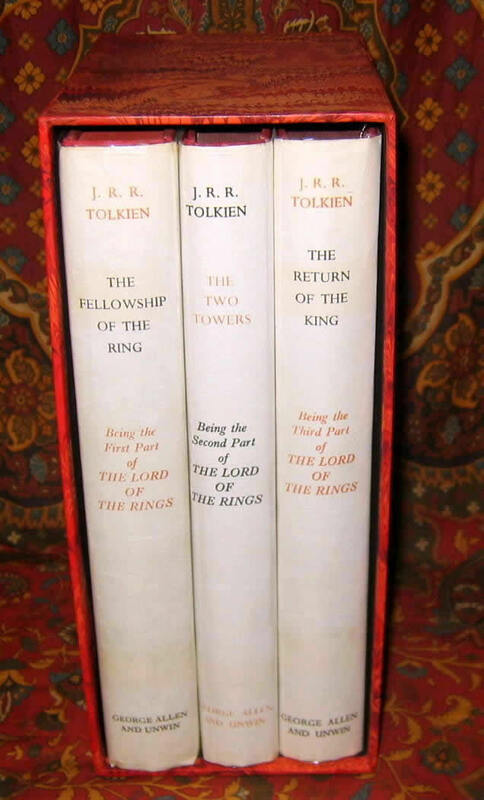 The Fellowship of the Ring is a 8th impression published in 1959, in it's original Eighth Impression dustjacket. 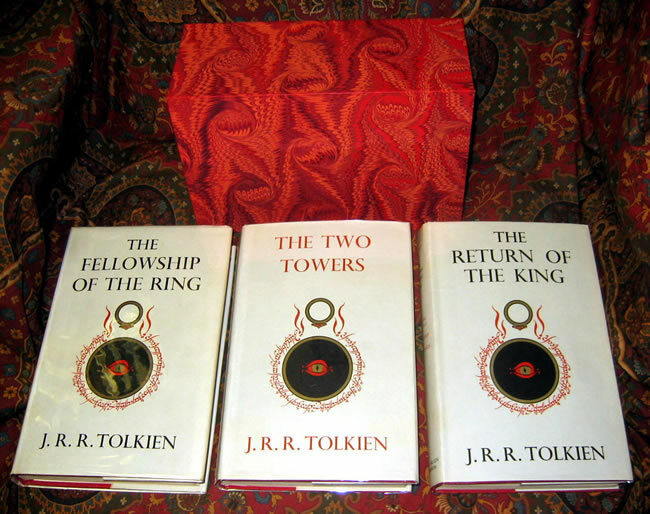 The Two Towers is a 6th impression published in 1959, in it's original Sixth Impression dustjacket. 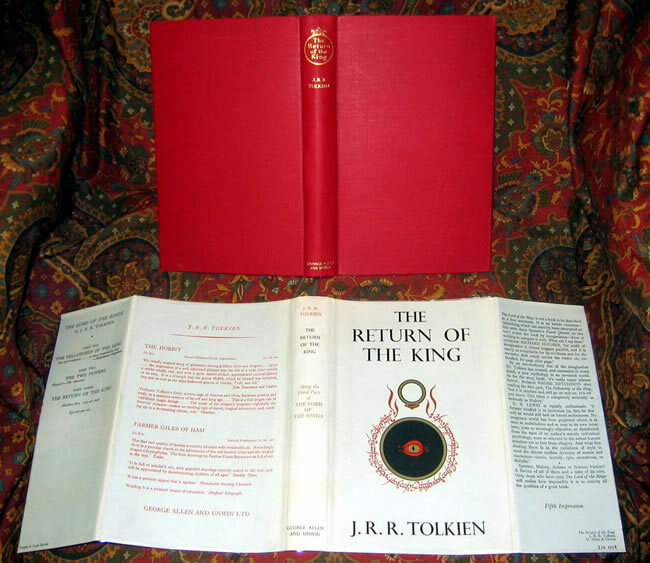 The Return of the King is a 5th impression published in 1959, in it's original Fifth Impression dustjacket. Someone treasured and protected these wonderful books well over the years. Scarce in this excellent condition. George Allen & Unwin, an early set published in 1959 of the UK 1st Editions. 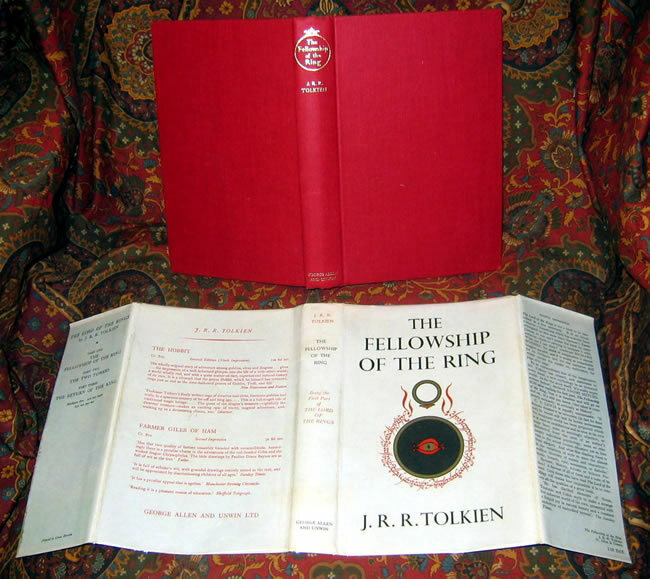 The Fellowship of the Ring is a 8th impression published in 1959, in it's original Eighth Impression dustjacket. 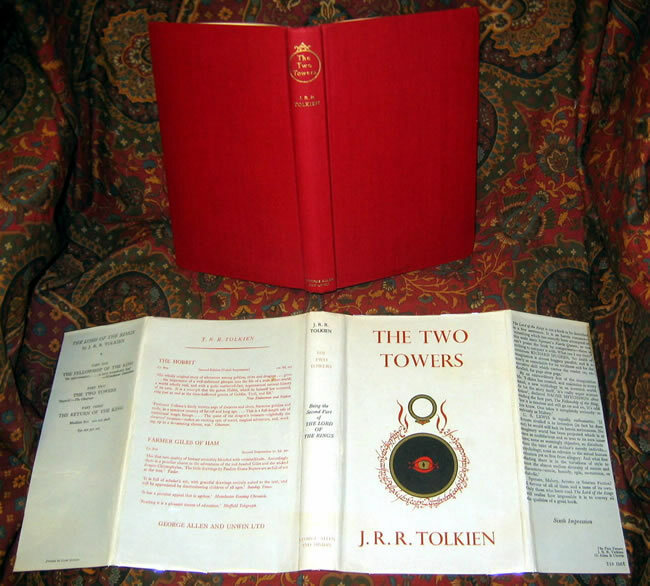 The Two Towers is a 6th impression published in 1959, in it's original Sixth Impression dustjacket. The Return of the King is a 5th impression published in 1959, in it's original Fifth Impression dustjacket. 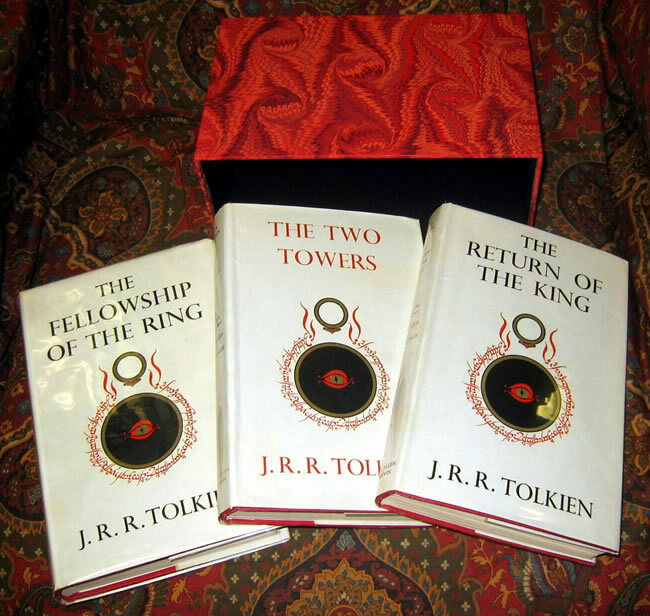 This set of books is housed in a custom slipcase to protect and show this wonderful set. No tanning or browning to the spines as is almost always seen. No chips or loss. Some rubbing to the folds and edges. None have any previous owners names or markings in the books. There is no offsetting or foxing on the endpapers as is so common. The text block is clean and bright, edges are also clean & bright. The red topstain is clean, with just a hint of dustiness. The exterior cloth is clean, with the gilt untarnished and bright. The books look remarkable, and the maps are attached, and in excellent condition. A beautiful concurrent, matched set.